Kehoe's Northern Retreat is a cozy resort located in the Northwoods of Wisconsin in the Birchwood Area. Our cottages are all fully furnished; just like your own little cabin on the shores of Big Lake Chetac; close enough to the Hayward Area for its many attractions to be just a short trip away but far enough for the quiet, relaxed atmosphere you need for a pleasant vacation from your busy life. All four cabins have color cable TV., showers, and all have comfortable beds with bed linens and blankets. New deep, wide aluminum boats. For detailed information about an individual cabin click on the name of the cabin that you would like to know more about in the 'rates' section. No Daily Cabin Rentals Available. CABIN #1 - 2 bedrooms and is 20 feet from the lake. CABIN #2 - 2 bedrooms and is 15 feet from the lake. CABIN #3 - 2 bedrooms and is 15 feet from the lake. CABIN #4 - 3 bedrooms and is 50 feet from the lake. Clean, comfortable, completely furnished two and three bedrooms. Microwaves, gas heat, color cable TV., bed linens and blankets furnished. Kitchens are equipped with gas ranges, electric refrigerators (top freezer), plenty of dishes, silverware and cooking utensils. Each cottage has its own bathroom with hot water shower. Each cottage has own picnic table and Weber charcoal grill. One new 14' aluminum boat with each cottage. Extra boats can be rented. We have outboard motor rentals and wearable life vest. Coast Guard approved boat seat cushions are available. Regular or mixed gas available. Big Lake Chetac is known for its great Bluegill and Crappie fishing. 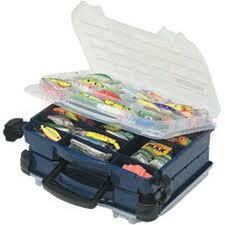 There are Walleyed Pike, Large and Small mouth Bass, and also Northern, Perch and Bully??s. Motor trolling permitted. Nice fish cleaning house and freezer space available. Birchwood is Wisconsin? ?s Bluegill Capital. Our well-kept grounds provide horseshoes, badminton, volleyball, tetherball, and swings for the children; sandbox, campfire ring and great sunsets. Several nice golf courses are nearby. There are many places of interest for those who like sightseeing such as Wilderness Walk, The Fish Hatchery, Fishing Hall of Fame, Artesian Well, Horseback Riding Stables, and many more. There are many places in our area for your dining out pleasures. There are also many churches in the area. Daily mail service. Birchwood has a Laundromat and many fine stores and shops. One boat furnished with each weekly cottage reservation. All prices are subject to applicable sales tax. Deposit: $200 deposit for each week's reservation required. When writing for reservations, please specify date of vacation, number in party, ages of children, and boat & motor needs.